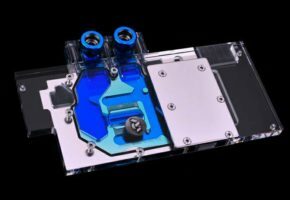 The German-based liquid cooling specialist Aqua Computer has added the full cover water block kryographics Vesuvius for R9 295X2 cards to its portfolio. 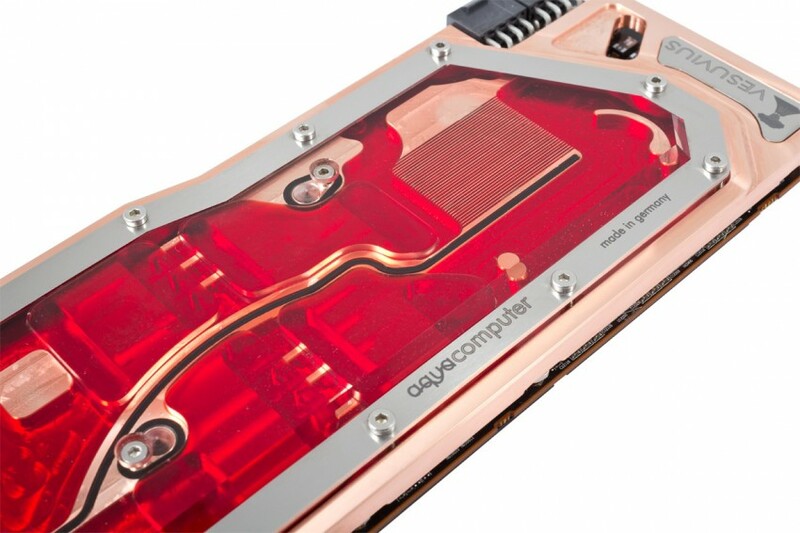 The block is entirely made in Germany and milled from 2.72kg high-purity electrolytic copper raw material. 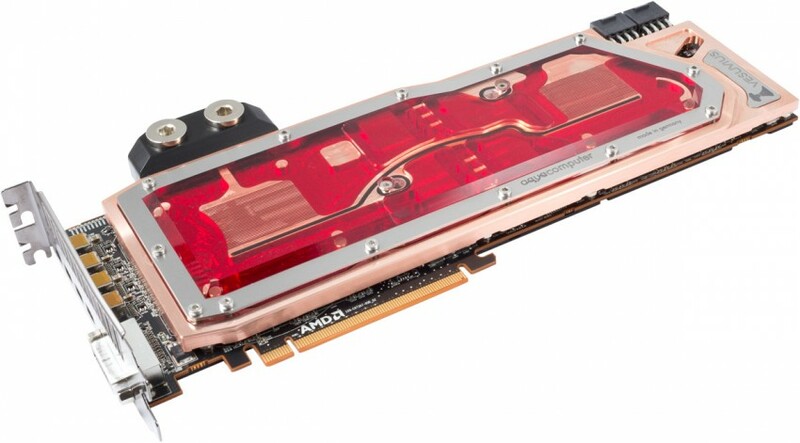 It covers the GPUs, all RAM chips, the voltage regulators and the PCIe bridge chip. 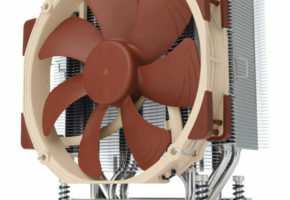 All areas are covered by the flow path of the cooling liquid to provide an excellent cooling performance. 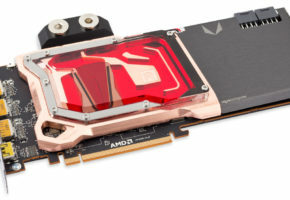 Both GPUs are covered by a micro structure with a 0.5mm grid. 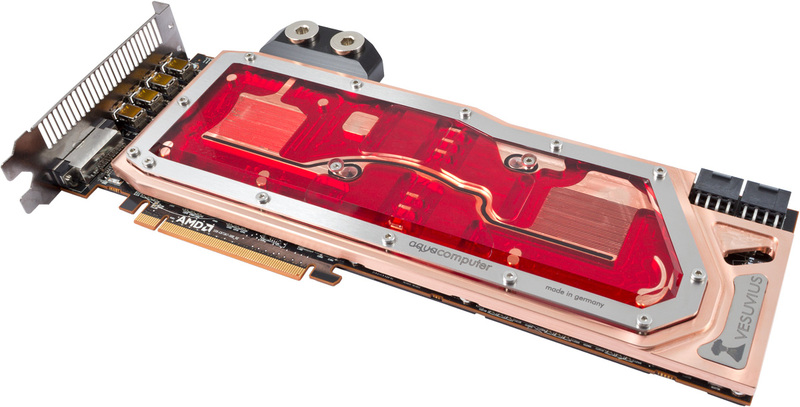 The water flows through both structures in parallel which allows an even temperature for both GPUs. To achieve this effect the cooling structures use a different depth which makes sure that the same amount of water flows through both of them. The contact surface of the base is high gloss polished. 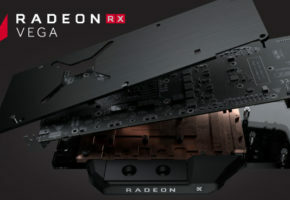 To gain the last bit of cooling performance the kryographics Vesuvius for R9 295X2 allows using thermal grease instead of thermal pads for the RAM chips. Like the base the Plexiglas cover is also milled from a solid block. To avoid the risk of cracks Aqua Computer uses casted Plexiglas and does not drill any threads inside the cover. The cover is held in place by a stainless steel frame which allows for an evenly distributed pressure. For an easy installation the block comes with preassembled distance pieces so the screws can be tightened as far as they will go to achieve an optimal contact pressure. The block can be used with regular G1/4″ fittings and the connection terminal offers threads into both directions. The regular connection terminal can be also exchanged with the optional kryoconnect adapter which can be used for Crossfire setups. 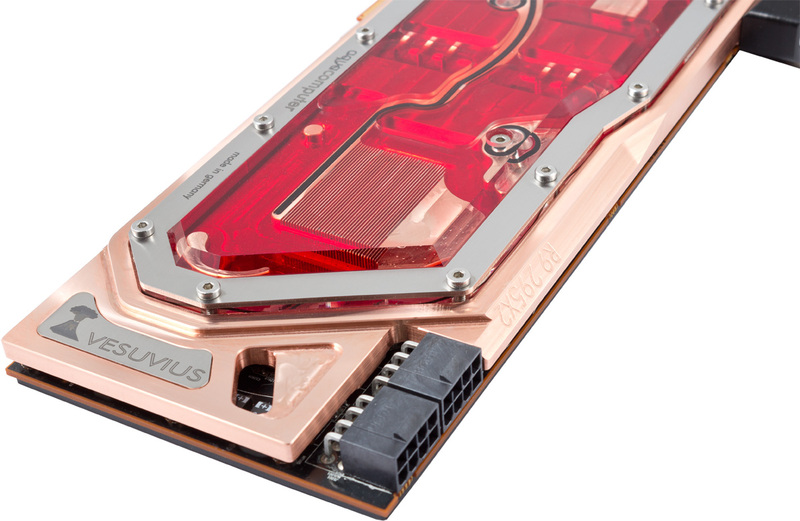 To honor the GPUs and graphics cards codenames the block also features a little map of Hawaii which is integrated into the flow path and a little engraved volcano can be found on a stainless steel insert. 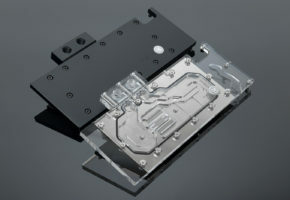 The block with a copper base is available for 169.90 Euro while a nickel plated variant will follow soon for 184.90 Euro. Both variants will be also available with a smoked Plexiglas top. 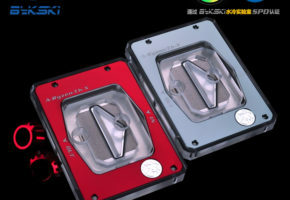 Those who look for the ultimate cooling experience will be also able to purchase a passive and active backplate. They will be available later in May; prices are TBA.